Are you an adventurous traveler? Do you enjoy joining new experiences and original ideas to discover the places you go to? 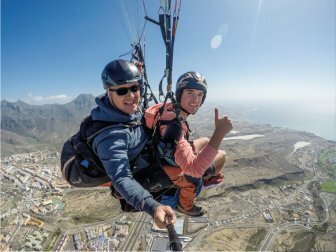 Then, there is no doubt — a paragliding experience for adventures is exactly what you should do during your next trip to Tenerife. Based on many years of experience in paragliding, Overfly Tenerife gives you the chance to make your dream of riding the sky come true! We are a certified paragliding company located in Adeje, Tenerife. Overfly Tenerife has been founded by experienced pilots, and our aim is to provide you with an incomparable paragliding experience in the island of Tenerife. 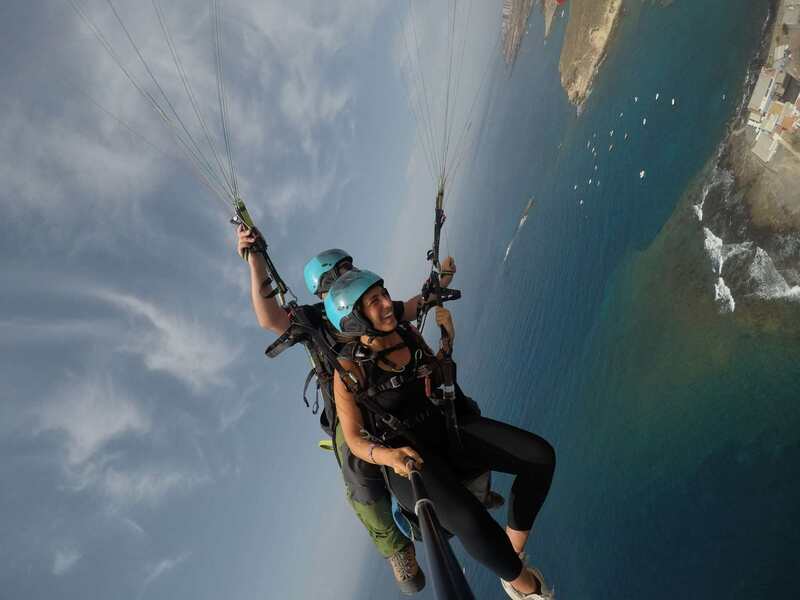 It is also a different way to go sightseeing while you enjoy Tenerife’s amazing landscape from the air! Can you imagine a bigger adventure? This is what we call heaven, concretely the heaven of Tenerife, and now you can conquer it with us. You do not need to take any special equipment to begin your adventure. Our team will always provide you anything you need and give you a personalized attention at any time. We fight for being even better than your expectations. And the best part is that all of this happens while you are taking part in an activity in harmony with nature as you have probably never experimented before! Because here, there are no limits. Why enjoy a paragliding experience for adventures? If you are here it is because you want to do something really special, don’t you? Would you like to enjoy paragliding experience for adventures? Whoever you are, wherever you come from, if you love adventure, if you love nature, if you love to live your life, you are welcome. Let us guide you through the infinite sky of Tenerife with a paraglider. Feel free to take off with us! Feel yourself floating! Feel fulfilled, free and intensely alive. You only live once, so enjoy every adventure! 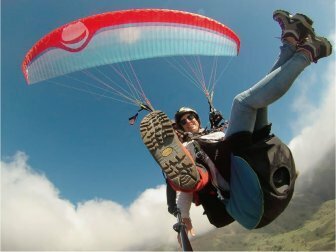 When is the best time to enjoy a paragliding experience for adventures? Are you wondering when is the best time to enjoy paragliding experience for adventures? You already know that the answer is anytime! Although, if you want to do it on a special occasion, you can harness the opportunity to enjoy this paragliding experience on holidays, to celebrate your birthday, or just as a team building activity with your couple or friends!